One of Dickens's greatest novels, "Great Expectations" is also one of his most autobiographical stories, as the young protagonist Pip escapes from his troubled childhood experiences to learn for himself the perils of love, the dangers of wealth, and how to sort his friends from his enemies. Just as Dickens never quite recovered from the traumas of the debtor's prison and child labor, so Pip learns that his early life cut more deeply than he realizes, with unavoidable consequences. Through the lives of its unforgettable charactersPip, Magwitch, Miss Havisham, Estella"Great Expectations" charts the course of an England undergoing rapid social and economic change, and tells a tale that is among the foremost classics of the English language. Charles Dickens was the foremost English novelist of the Victorian era and is known for such novels as "The Adventures of Oliver Twist," "A Christmas Carol," "David Copperfield," and "A Tale of Two Cities." F.W. 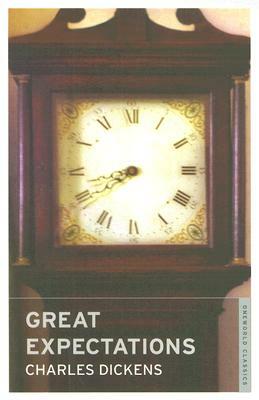 Pailthorpe provided illustrations for the original edition of "Great Expectations.""